Does your bathroom look amazing? As one of the most used rooms in every home, the bathroom can almost always use a bit of a facelift. In today’s blog post we will share a few DIY renovations that will take your bathroom from drab to fab. One of the best ways to start your bathroom makeover is to figure out a new color palette for the room. Do you like soft, muted colors like a powder blue, light gold or cream? Or maybe something a bit louder and more exciting like a merlot red or deep purple? Whatever your taste, a splash of color might be just what your bathroom needs. Start with a fresh coat of paint on the bathroom walls and work outwards from there. If you have windows, consider how you want the trim to contrast with the walls. Baseboards or molding can also offer contrasting effects, helping them to stand out more. And of course, don’t forget to take care of the smaller bathroom accessories. Your shower curtain, hand towels, and even your toothbrush cup can all be matched. 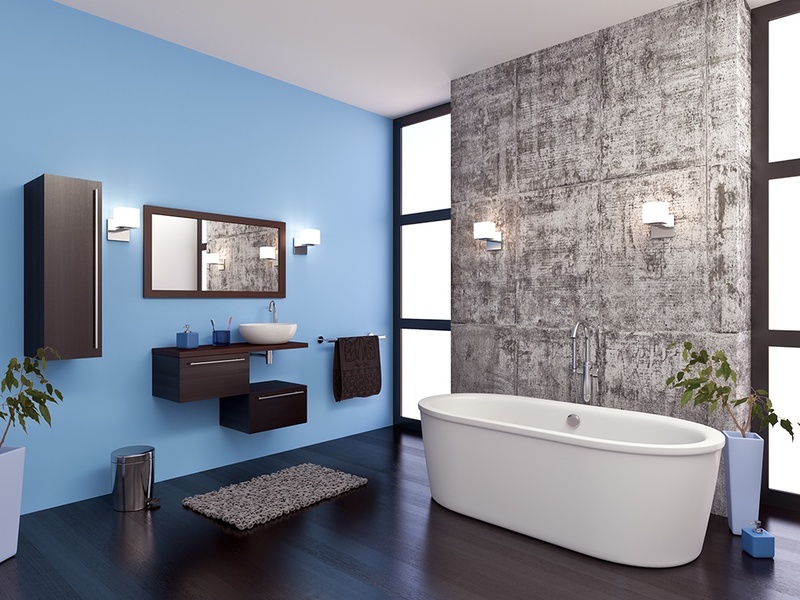 Once you have decided on colors, it is time to turn your attention to the fixtures around your bathroom. The towel racks, hooks, faucets, shower head and toilet paper holder should all match in some way. If you do not have a lot of cabinet space, investing in a mirror that includes storage might be the perfect solution. If you have items like a scale or plunger in plain sight, think on some creative ways to hide them. While you do not need ‘selfie quality’ professional lighting in your bathroom, it might be time for a brighter, more efficient light fixture. Aim for a design that complements the rest of the accents in your bathroom while being large enough to cast a bright light. You can also spend a bit of time choosing the correct color temperature for your bathroom light bulbs. LED lighting can offer some bold whites, but be careful that you don’t go overboard. Renovating your bathroom is a fun way to spend a weekend or two improving your home. If you are thinking about buying a new home, contact us. Our professional mortgage team is happy to help you find the perfect financing option.